Sorry But JonoH no longer reply's to Email sent from me 3 days ago . 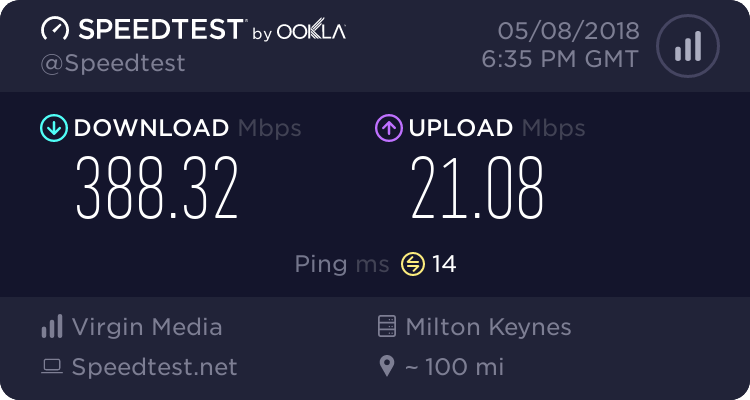 I had been a customer of Plus Nets since 2003, having recently moved to Virgin I am no longer. I do remember you from the forums, but it's not a place I frequented very often so have no idea about whats gone on, there's always two sides. I have just skim read some posts in the thread you mention, but don't have the time to read all of it. Given how much help you've been over the years perhaps a month or so ban would have been much more appropriate, but without the full details it's impossible to say. Presuming you are not in contract you could always move provider, wash your hands of them completely. There's always plenty of people here who need help as well. I totally missed what happened until I saw the thread started as a result of you being banned. I'm very suspicious that a total ban rather than a time limited ban was endorsed by Plusnet because you consistently highlighted their failings! Hi Jelv , yes there was some strange things posted by the troll under one of his alias now removed he knew i was reading forum Via my wife's account , which he highlighted and he also used my first name ? . To me the worst problem is the Plusnet manager refuses to join into a dialog about this either on the forum or on Email . And as you may have read post by robPN that all reference to any of the troll posts have been removed but mine have not ? as another previous plusnet forum member (and plusnet customer), the place is a clique with the chosen few allowed to do what they want. the mods will never admit it, but they have their favourites. i got a 7 day ban, which was then not lifted after 7 days. they evnetually contacted me to let me know the ban would be lifted if i agreed to their stipulations. i explained that the reason for the ban was flawed and as such i did not agree to their stipulations. therefore i imposed my own permanent ban by not grovelling to be allowed back in. i have never agreed with plusnet allowing customers to moderate what is essentially the primary support method for plusnet. the forum should be moderated and controlled solely by plusnet staff. i wonder if GDPR could be invoked and demand all your data be removed from their forums. I'll only say that I'm sorry that you are not there anymore, except that how was it proven that three then members were the same person? Hi renluop , we were never 100% sure but it was more than a coincidence that after the first one disappeared Notinmyname , mods never admitted he was banned because everyone was complaining about him . Thank you. does seem a little too coincidental. Good to see you back in print! Obviously I'm not aware of all the facts behind why you were permanently banned. Nothing that I saw in your forum contributions would in my view justify it. I cannot imagine what horrendous 'crime' on a forum could ever justify it. Anyway, after 10½ years here I can thoroughly recommend the Kitz forum - hope you stick around. I guess that the final problem was that it at least looked like rongtw created another account to circumvent the temporary ban. When you used your wife's account was it to post in relation to the issues that led to your main account being banned or was it to raise an issue when you needed support? From what I've seen it was the latter. Hi Jelv , yes the main reason for this account was to gain access to support if needed , but it also allowed me to find out that alanj came back on as happyhijabi , it was also nice to be able to see the posts on my friends St3 thread in support of me which was locked by Plusnet . But that was after PN staff kept telling st3 he did not have all the facts , when he told them he was a old friend and had always been in contact with me and i had shared Emails from JonoH they decided to lock it , because Yes he had all the facts . they did that with me too. the banned the IP address from even being able to load various pages on the plusnet website (including the forum). when i informed them they were restricting my ability to manage and seek support on my account they claimed it was a mistake and wasn't their intention and removed that block. personally i think they have no idea what they are doing and plusnet are basically allowing customers to run their whole forum-based support network. JonoH comes across as a guy you'd happilly punch in the face continually and has shoulders so slippery you could use them as an ice rink. i've always been of the opinion that if moderation must be done by non-employees then appointed forum modersators should have a set term (just like a president) and after that expires you lose moderation control and it passes to someone else. this would keep moderation fresh and remove the posibility of favouritism and cliques - something that is rife amongst the plusnet "community". If you look at the censorship that occurs on forums such as BT's where unfavourable topics are removed I'm in favour of customer moderation. But the problem is that there are fewer moderators on the Plusnet forums now than there were when the customer base was less than a tenth of the size it is now. If there were say 10 moderators, with one or two allocated to keep an eye on each board it would be better, especially if the moderators rules said things like bans had to be endorsed by half of the moderators at least. Providing the moderators came from a wide base and not just from the clique it would be much better than what they have now.